Some Harry Lauder’s Walking Stick plants (corylus avellana contorta) are being attacked and are dying slowly. This doesn’t seem to be a widespread problem, but it is happening. The disease that is attacking them is called Eastern Filbert Blight, which is a fungal type disease and not an insect problem. If you have a plant that is showing signs of being infected it’s probably too late to apply a fungicide, but if you prune away infected wood you might be able to slow the progression of the disease and if you catch it early enough you might be able to stop it completely. Harry Lauder’s is a very interesting and curious looking plant and an all time favorite plant among true plant lovers. I am a huge fan of Harry Lauder’s Walking Stick and I like to grow them into single stem trees and I made a movie about that. Here are some photos of a Harry Lauder’s Walking Stick that has been infected with the Eastern Filbert Blight. You can see how devastating this is. I took the above photo right in the middle of the growing season, so you can see that this plant is not at all healthy. It should be covered with the crazy looking leaves that Harry Lauder’s is noted for, instead it has only a few healthy leaves near the bottom of the plant. If you look closely at the above photo you can see the little tiny diamond shaped, or football shaped black dots on the stem. Those are cankers from the Eastern Filbert Blight. For whatever reason, these cankers are almost always diamond shaped or football shaped. On a healthy Harry Lauder’s Walking Stick you won’t see any spots like these at all. Learn how to propagate Harry Lauder’s Walking stick here. If your plant has this condition you need to prune out any infected wood, and make sure you cut all the way back into healthy wood that is not infected. Sterilize your pruners after each cut by dipping them in rubbing alcohol. Don’t be concerned about how much wood you cut away. Harry Lauder’s are vigorous growers and if you can save your plant it will recover quickly. Now for the positive news about this dreaded disease. At this time it does not appear to be widespread and I have a lot of these plants in my nursery, because they are like magnets for plant lovers. People will drive miles and miles to buy a nice Harry Lauder’s Walking Stick. And you are a member of our group you can buy small plants for around $4.00 each. And in most garden centers a Harry Lauder’s in only a 2 gallon container is going to be $59.00 or more. I have been trying to figure out what is going wrong with 3 HLWS. When I moved to Maine I was happy to inherit 2 that are 6ft. tall and brought along a 3 yr. old from my former yard.. I did see Japanese beetles, but had no idea about this disease.. After looking at my shrubs I can see they are infested. There haven’t been any comments on this site for a while. Do you have any updates or tips? Will be pruning vigorously. Nothing new to report, this disease is fatal once a Harry Lauder’s is infested. It doesn’t spread to other plants that I know of, just filberts. But it’s killed just about everyone in this area. I have one in the nursery that was not infected last I knew, but I know it’s only a matter of time. I trimmed most of them off is there anything else I can do or am I losing it? If infested with the blight more than likely you’ll lose it. Nothing you can do but trim away affected branches but even that usually does no good. My two 10 year old Harry L plants contracted the Blight this spring. They were both suckers from the Mother plant and were true. One was able to be pulled up from the roots, but the other was pruned violently. I am trying to root four small branches this fall, but I need to know whether these small branches are doomed in this same yard if the blight lives in the soil. Do you have any suggestions other than ‘try to get them to live’? I have to believe that the virus is air borne because it travels so easily. Can you grow a healthy plant? Maybe for a while, I really can’t say. I have one at my nursery that is unaffected as far as I know, I need to look it over now that it’s dormant. I had a HLWalking Stick for about 20 years or so. Grew beautifully for most of that time. About 4 or so years ago I noticed (and removed any I could find) sawfly larvae eating the leaves. Also, the annual Japanese Beetle battle to hand remove all I could find. Then, the tree suddenly declined rapidly, and in the course of 3 seasons, was dead. Realizing now, from your postings, that the demise was likely the result of the Eastern Filbert Blight, I suspect that the disease might be transmitted by one or both of these insect pests. Being a blight the disease could easily be airborne. There next to none left in this part of the country. Does this fungus attach any other plant varieties? Have a Chicksaw Plum (Sand plum) that is dying and can’t figure out what’s happening. Not that I’ve ever seen, seems to only affect filberts. All you can do is try, I don’t think it can be saved at this point. I bought my tree in a gallon pot and re-potted it into a huge container. Its been about 3 weeks and my leaves are all crispy on the edges and turning brown. The tag said full sun and it gets alot of sun and maybe thats what did it. I moved it into a partial shade area but my poor tree is so ugly. Please help me. I potted it in 2/3 potting soil and 1/3 humus. What am I doing wrong? Sounds like it dried out, or suffered some root damage in the process. Should be fine it time. It would be happier in the ground. Hello again. I have a walking stick tree, this is the first year it has not leaved out. I have watered & watered, ddid no good. Mine is in a big flower pot. I love it. had it maybe 6 years. . thought maybe it was just root bound. but after reading your info, I now know what is wrong. Thank you so much for ll your information. Thank you again. You’re welcome, seems to be happening in a lot of areas. For those of us who know Little or Nothing about Sir Harry Lauder and hiis walking stick with MANY faces – Google the HLWS Even hear him singing his beloved tunes of Scotland on YouTube. born sometime in the 1800’s with pictures of him in his Scottish regalia. Black spots on leaves isn’t something I worry about, the leaves will drop this winter new leaves will be fine. Dear sir: I have realized that my HL walking stick has blight. I don’t have any other walking sticks on my property. I have had this one for over 15 years and i love it – especially in winter. i cannot prune it as unfortunately it is totally infected with blight. what if I don’t do anything to it? I cannot in good faith remove it totally so I’m hoping I can just leave it alone and it will still be good without the leaves in summer. will it eventually die completely or will it just stop budding and blooming? Can I leave it as is and enjoy it’s beauty despite the blight? More than likely it will fail completely. You can leave it there, I don’t see any harm in that until it starts to break apart. Sad, but it’s happening to thousands of them. 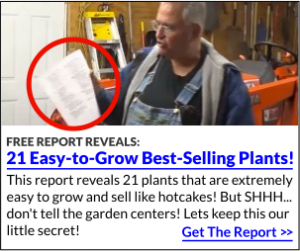 thanks you Mike – I have 3 friends who have followed my lead and bought these HLs – theirs are younger so I will post them to keep and eye out for this blight jerk. Hopefully we can stop theirs before it is too late. I appreciate you answering me. I have a 25 year old HL tree. we are about to redesign our front garden.Can I transplant it to a new spot Or should I just plant a new one. It would be such a shame to lose the present one as it is is such a lovely specimen but it is in the wrong place for the changes we are going to make….any tips? Was given a Harry Lauder’s Walking Stick a few years back, and unfortunately I planted without researching. From reading on this blog, I learned that I needed to clip the suckers, which were many. Now I have 8 not so straight chutes. Request comments on whether I should cut all but one chute or leave with the 8 chutes remaining? Last, can I purchase a Harry Lauder Walking Stick by mail order from MIke, and in north TX, should I plant in fall or spring? As long as those stems are contorted like the rest of the plant I’d leave it with multi stems, pretty common way to grow them. Spring or fall planting are fine, both work great. At this time I have no Harry Lauder’s for sale. Possibly in the future. Had maybe 10 years and the multiple stalks are now 3-4 ft high, and not contorted at all…otherwise healthy. Any pixie dust that you might recommend to get the branches to contort? Mike, we planted a HLWS last spring. As soon as the leaves came out, they began to look droopy and appear to have something eating them, as there are little holes in most of the leaves. I’ve checked the branches and they appear to be fine. Do you have any idea what would be eating it and what to do about it? We are in North Carolina. Thanks! Under normal conditions the leaves on a Harry Lauder’s look droopy so don’t be concerned about that as long as the plant has enough water. The holes in the leaves could be Japanese beetles which are now gone for the year. I wouldn’t be concerned. Just keep an eye on those branches to make sure it doesn’t have blight. I’m not sure how far this blight has traveled. I live in southern New Jersey and have a Harry Lauder’s Walking Stick that we simply adore. This is the very first time we started seeing it with some issues and after reading your posts believe it has the blight. We are devastated. Are you able to recommend anyone in south Jersey that could come and look at it so we’re not the ones making the decision that it’s reached its end. Thank you for any advice you can offer! I cannot except to say to take an infected branch to your county extension agent. I say watch the plant, when it’s starts showing signs of those little black elongated cankers, the plant is truly in trouble. Waiting really isn’t going to do more harm, I suspect the harm is already done. Any suggestions where I can buy the HLWS in the St louis area? They are difficult to find but one of our members, http://backyardgrowers.com/join, mentioned just yesterday that he is, and in the near future will have some for sale on Ebay. Take a look there. Sorry about the typos. Ugh! I can pist a picture of my tree. It’s your call but the tree is not going to survive if it’s infected. This blight is bad news for Harry Lauder’s. HI Mike, A friend gave me two pencil size sticks of HLWS about 25 years ago. I dropped them into a milk carton of water and put them on the back deck of our Vancouver Island home. In spring, I noticed both had rooted, so I planted them along our driveway. Up they came with gusto! Then one winter when we went away our gardener who had issues decided to chat one of the big trees off right at the ground. Ha! Up it came again, this time with multiple trunks. It was amazingly beautiful and very easy to root, as you know., and grows quickly into a big tree. I loved it then and love it now. Thanks for all your good advice. I thought the single stem for a walking stick was a good idea! Thank You! They are an awesome plant. I have one planted at the nursery and it catches everybody’s eye. We live in Wisconsin, and our HL Walking Stick Tree did fine for 20+ years. It would lose it’s leaves in the Fall or early Winter. Then in the Spring, the leaves would come back big & green. Until one year (about 3 or 4 years ago), it got attacked from the inside out by Japanese Beatles. The green leaves never came back. My husband has been trying to convince me to cut it down & get another one. I think it looks really cool, and the birds love it just the way it is. It is a beautiful tree with the big green leaves & seeds hanging down. They do look great without leaves so I can see your point. Can a 6′ bush be converted into a tree with bush on top or is it too late? At this point I would not re-plant another Harry Lauder’s in that same spot. To the best of my knowledge there really is no fungicide that controls this blight. We lost a Harry Lauder Walking Stick (HLWS) this year to Eastern Filbert Blight. Although we removed branches during the summer and sprayed with a recommended fungicide, it did not survive. And while another HLWS in another part of our garden still has leaves, this one does not. Someone suggested that we leave it alone and see if there is new growth in the spring. Is there a possibility of that happening? Would it help to cut the branching back to just above grade and waiting until spring to see if there is new growth? Or should we just remove it and start over? I would get rid of the infected Harry Lauder’s as soon as possible, especially because you have another in your yard. This blight is contagious, but only to Harry Lauder’s that I know of. It won’t harm your other plants, but it will spread to the healthy Harry Lauder’s. Thanks Mike. I hate to accept the fact that our Harry Lauder is a lost cause, but I’ll follow your advice to save the other one from the same fate. Mike, I to have a large (approx 1ft at base) HL walking stick that we love. It unfortunately has the blight you mentioned above. My question to you is when should I try to remove the infected branches? Is it better to wait till fall or do it now? I believe I will have to remove quite a bit of the tree to rid the diseased areas and would like to do as little stress as possible. Also, if it does not make it, would it be OK to replace it with another in the same location? On one hand I want to say the sooner you prune it the better. But if you want to wait it probably won’t hurt anything. Plant another in a new place? I honestly don’t know. One of our two was looking good until a couple of days ago. Today ALL of the leaves turned brown. The other looks BAD – only one branch of several has any -counted ten – leaves and they look weak. I guess that it is too late for both – now good only for bird perches – they seem to like them. Do they show signs of the blight? If not, it could be too much water, not enough water, planted too deep. I was reading about the fungus on the Hairy Lauder and you say just cut it back, but I also read in your info that I could spray it with an anti-fungal, but you don’t mention what kind or brand would be best. My Hairy Lauder is beginning to have brown leaves on the out side edges of the plant and I don’t want to lose it. My wlaking stick has the blight!!! We have had it for about 6 years and it is one of my favorite plants because of the unusual growth. I will take your advise and prune it back. I hope I can save it!!! Please let me know if you have any other advise as I very upset about this. I really don’t have any other advice other than to remove all of the infected branches and hope for the best. Mike, just found your HLWS blight info on an internet search and it certainly looks as if our HLWS is hosting the blight. I cut away all the dead wood yesterday but now after reading all this info and rechecking the plant see that the lesions are on branches that are still bearing some healthy leaves. Our HLWS is about 12 years old, 6′ high x 4′ wide. Upon closer inspections I see that the lesions are on a lot of really old, thick branches. Should we just cut it all to the ground and hope for the best?? Or only hack away the branches with lesions even if it leaves some healthy branches behind and turns it into a rather misshapen tree?? I wish I knew what to tell you for sure. Without a doubt your Harry Lauder’s Walking Stick is in trouble. I’d opt for cutting it way, way back, but right now is not the ideal time to do that. Of course you can take that chance if you want, or you can wait until the plant is dormant and do it then. If it were mine and I was trying to save it I’d cut it back really, really hard. But the million dollar question is do you do it now or in Nov? Your about to lose a prized plant so either decision is better than doing nothing at all. Let me know how this plays out next summer, I’m interested in whether or not this can be reversed with pruning. The upside is that this blight like many plant pest travels in a small circle of host plants and would only be a problem if a person had a host plant in their yard who received that mulch. We can’t burn either, but if we have a package of hot dogs we can have a recreational camp fire. I was about to cut down my huge granddady HLWT yesterday after two years of pruning and spraying…I see many new branches forming with leaves…should I try to graph these new growths? How should one dispose of a dead HLWT? I’m afraid to take it to a friends to burn if it will spread the blight. I would not take any cuttings or scion wood from an infected plant. Burning the plant would be the ideal way to get rid of it. If you can prune the suckers on a grafted plant where there are a few roots attached they grow pretty quick and pretty straight. When they reach 4-5 feet graft several Contorted filbert branched to the top and voila! a tree form HLWS, all from the same parent plant. Mike, thanks for this post. My very old (at least 20 years), very large Harry Lauder developed this disease here near Seattle. I think it started a few years ago, but I really just figured out what it was a few months ago. At its healthiest, this “tree” was as high as our house. Knowing I needed to prune off all the diseased wood, I was nervous to just hack away until I read this post. Trying hard to find clean wood, I ended up pruning about a third or more of it back. I’m hoping that come spring (after some fungicide treatment) that new growth will sprout and I’ll have saved this beloved tree. Wish me luck – I’ll keep you updated. Interesting thing, the “experts” at one of the premier nurseries here almost dismissed it as a bug until I said that it looked like the blight. . .it took them a few days to confirm it! Joy, I’m glad I was able to help and you are at least taking some action to get rid of it. Don’t be afraid to prune more if you have to. Harry Lauder’s is vigorous and will grow back nicely if you can get it healthy. Has anyone ever tried to grow to train Harry Laudr’s Walking Stick as an espalier? It seems that the twisted stems could make a very interesting form against the side of building. I have a big blank wall on the exterior my house (a big white farm house), and if espalier could be done then the twisted stems would really show against that white wall. Could it be trained flat, or does it want to become too round in shape to do this? I’m sure you could train it espalier just like you would a flowering crab apple or other fruit trees. I’m sure it would look great! If you do this take pictures and post please? Gee what an odd looking plant! Could be a good candidate for a Halloween party. You always have such interesting plants. Mike,I appreciate your sharing the video of your cemetary plants. I live in Houston, TX. and bought and planted a 3′ red maple 2 years ago. It has grown, but the 100+degree summer heat cooked the leaves. Is this tree doomed? Bev, you tree might be a gonner, but do this; This is how you test to see if a plant, or a branch on a plant has died. Just scratch the bark of your plants with your finger nail. If the tissue below the bark is green and firm your plants are fine. If the tissue is brown and mushy that part of the plant is dead. Thanks for your reply! So if the red maple is still alive, do I prune the limbs that have the burned leaves, or just wait until next year? Should the tree be protected from our brutal sun until it is larger? How? I will have to get some of these, I love the idea of growing a walking stick. Loved the pictures and I want one….Do you think it would grow in arid Utah?? We not have as many trees but those we plant do grow well. I’m in a rural area so mostly it’s farmland but my property is large enough that I need TREES of all sorts. What zones does this extra ordinary tree grow? I love the look of twisting! Marty, Harry Lauder’s Walking Stick does well in zones 5 through 8 for sure. Possibly zone 4. I’d have to do some research on the colder zones. Thank you so much for the info on HL Walking Stick. I help out at a local farm and they have a HLW Stick that looks sickly. I will check to see if their plant has any signs of the Filbert Blight. You are such a wealth of plant knowledge! I wanted a small tree to draw birds to watch out the window. I was a great selection. I grew one of these Contorted Filberts on a lake property I owned back in 1975. It grew amazingly well. Beautiful in the summer, a great Christmas light decoration for the fall and it shined pretty when the ice formed on its branches. I selected a spot in front of our kitchen window, about 10 ft. from the foundation. 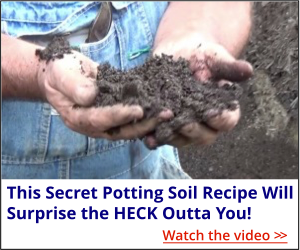 I dump a 1 ton of top soil to raise the planting about 3 feet and slopped it in a cone shape. Around the perimeter of the drip line I planted Juniper Blue Rug plants bordering a 42 inch wide sidewalk around my home. I loved all the gardens I’ve planted Your yard is a canvas to create beauty and it can be a site to behold. Just thinking about it makes me feel good. Would a systemic fungicide like Cleary’s do better than a contact fungicide. Really got PO’d at the removal of Benlate from the market. That was a very effective systemic fungicide. Scott, I would think a systemic would always be better and last longer. Won’t get washed away before it has a chance to work. How and when do you start the Harry Lauder’s walking stick? mine is over 15yrs old, I trim it every fall,and throughout the summer, I get a lot of suckers at the bass I continually cut off. How do you propagate these trees? My walking stick looks like the one in photo, with growth at bottom of plant. I don’t see any sign of fungus. I thought that the drought here caused it(we had mulitiple days of 100degree weather. Also, I read that these trees are grafted, if so you can’t take cuttings. Joe, you can take cuttings from them and some of our Backyard Growers have had success doing them as cuttings. I’ve never really tried, but I need to. how do you propagate them , with cuttings ? I have one of these wonderful little trees. It seems to be pretty healthy but I will keep an eye on it. What I really need to know is how to prune it properly. Its really branched out, low to the ground and all over the place. I had to prop a couple of branches up this year to keep them off the ground. I am afraid of pruning it wrong and making it look bad. It is about 3’x 3′ at this time. Lila, you can’t prune it wrong. Any pruning will help it and if you cut it too much it will recover. Just trim it to the shape and size that you desire it to be and it will be fine. Thanks for the post, Mike. I’ll check my much loved HLWS as soon as the rain and wind from Sandy stop!! I will say that the plant is covered with leaves and has grown quite a bit this summer. From the house, it looks fine. We have 2 of these wonderful trees that were planted last summer. Last spring they started to bud out and we got a late frost. Northern Montana, it happens… Almost all of the tops stopped growing and the buds died. we had a fair amount of growth on both of them from the base, thankfully contorted. They look just like the photo. I looked close and only found one branch on one of them that had anything like your photo. Thank for the great posts! My HLWS bush is quite large. About 6 ft tall and 5 ft wide. I just cut out all the sucker growth a few days ago. The plant appears to be healthy. How can I prevent it from becoming diseased ? Peter, you can spray a fungicide in the spring when the leaves are emerging. Will it help? I’m not sure. I have a lot of them and I am not spraying mine. Alas, I lost my Walking stick this year. It had the look of what you show in your pictures. I cut it way back and hope it will recover next Spring. Thanks for the info. I too would like to purchase a few small ones. Like Cynthia, we lost a Harry Lauder Walking Stick (HLWS) this year to Eastern Filbert Blight. Although we removed branches during the summer and sprayed with a recommended fungicide, it did not survive. And while another HLWS in another part of our garden still has leaves, this one does not. Someone suggested that we leave it alone and see if there is new growth in the spring. Is there a possibility of that happening? Would it help to cut the branching back to just above grade and waiting until spring to see if there is new growth? Or should we just remove it and start over? Thanks for this message. It looks like three of mine have that. I wouldn’t have had any idea had you not posted about it. Guess I will be pruning mine. Yikes! Kim, I’m glad you caught it and hope you do well in controlling it. Those straight, not contorted branches are coming from below the graft union and should be removed completely. I know this seems aggressive, but it’s really the only way to save your plant. That’s why it’s important to remove the suckers as soon as they appear and are easy to manage. Love the single stem approach for making marvelous walking sticks. Harry Lauder’s Walking Stick– I’d like to grow these. Does anyone have any for sale? Yes. We have a Harry Lauder Walking Stick Tree that is approximately 6′ tall and very wide.. We have interest in selling but not sure of value. Gave $75.00 for it 5 years ago and it was about 5 years old at the time. Purchased from a nursery. I have a fairly large Harry Lauder (about 5 1/2 foot tall and as big around that I dearly love. I have pruned and taken the cuttings as you have suggested and potted them. I want to try the single stem approach as you have. Here’s hoping next spring I will see some new plants. Love your newsletters all your wonderful plant tips. Thanks from a fellow Ohioian! JoAn, if the cuttings don’t do well for you this fall try some more next summer, around mid June or later when the wood is softer. Some plants do well as hardwood cuttings this time of year, others will only root if you are working with softwood cuttings during the summer. sorry your plants are dying hope you can save them , here in bama we have lot of trouble with fire ants they will bed in the roots of plants an fruit trees an will kill it, f.a. poison will make them leave but will not kill them all, do’nt seem like, it is a constant fight. remember seeing anything like it. Well, yes maybe old grapevines at night lol.